This is the second time I have been in Yosemite National Park when people have died on the Mist Trail. This past week, I have received so many e-mails and calls from concerned family and friends who heard about there being three deaths in Yosemite, since my family of three was there. I appreciated the concern, but we were safe. I wanted to answer, “We obey the rules.” Not to be trite or insensitive, but because when these tragedies occur they often unfairly cause people to see Yosemite as an unsafe place, when it isn’t. What it is, is a place that must be respected. Now I must pause, and say something else – I am deeply saddened by these deaths. I grieve for the families, the loss of life – and hurt for those who are hurting right now. I have lost sleep over this. I know the place where this happened VERY well, so my dreams are vivid and I can picture the entire scene all too well. I am also angry with the heartless and cruel comments I am reading on many blogs and Yosemite websites that are downright mean – these people died as a result of foolish choices, yes, but not because of stupidity, and they did not “have it coming” nor do they deserve Darwin awards and the like. We all have made foolish and careless decisions in our lives – most behind the wheel of our cars – most do not cost us our life. So while this was a tragedy, it was not an accident. And while it was completely avoidable, sympathy for both the victims and those who loved them is in order, just as we’d want if someone we loved did something foolish and paid so dearly for it. Nevertheless, there is a lesson for us all, in this. I’m not going to go into details of the events that occurred, other than are necessary for my point in posting about it. There are conflicting reports online – some sites have event edited there earlier reports, in part for accuracy, in part to spin it more kindly toward the victims as time goes by, which is understandable. The initial reports, I believe, were probably the most accurate in this case, though that isn’t always the case, since they were eye witnesses, I tend to believe the longer eye witness reports I read, though most of the reports have been shortened now. Watch your step near the water. The rocks are deceptively slippery. Stay out of the water upstream from the falls. will carry you over the falls. They ignored this sign, and then waded out into the water (repeatedly actually) ignoring the cries of other hikers to come back in order to get a picture, one slipped, then the next fell trying to help the first, and they fell in together. The third entered when trying to assist the first two. The rest is sad history. I won’t go into other details, you can use Google if you want to. They are tough details to read. I want to be sensitive my readers. In the 600+ page “Off the Wall: Death in Yosemite,” which I have read to be prepared to keep my Yosemite Summit guys safe, most deaths are climbing related (we don’t climb), and of the rest nearly all of them are completely the result of carelessness on the part of the person who died or someone with them. So in answer to the question, “Why do you do a retreat in Yosemite when people die there?” My answer is, people don’t die there unless they make foolish choices – we won’t. 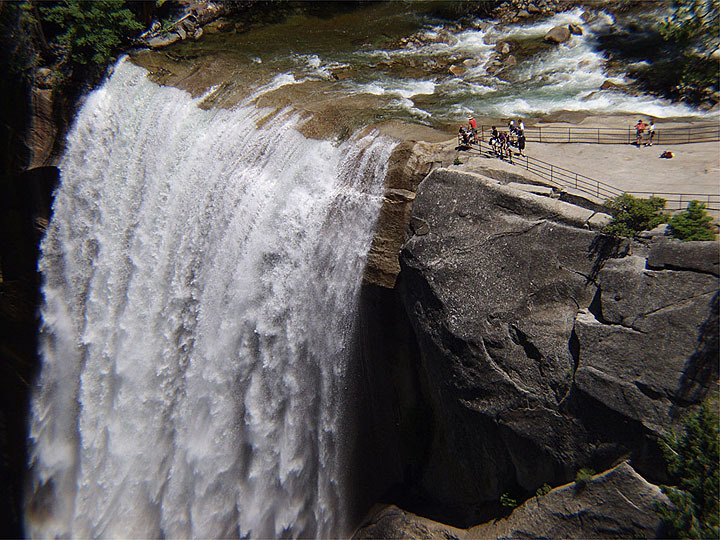 You are probably safer in Yosemite than you are driving home from work. I tell the guys in our orientation, quite seriously, people do die in Yosemite every year. You have to take that seriously. BUT you can simply choose you won’t be one of them. Over 4,000,000 people visit the park every year. Millions drive home alive. 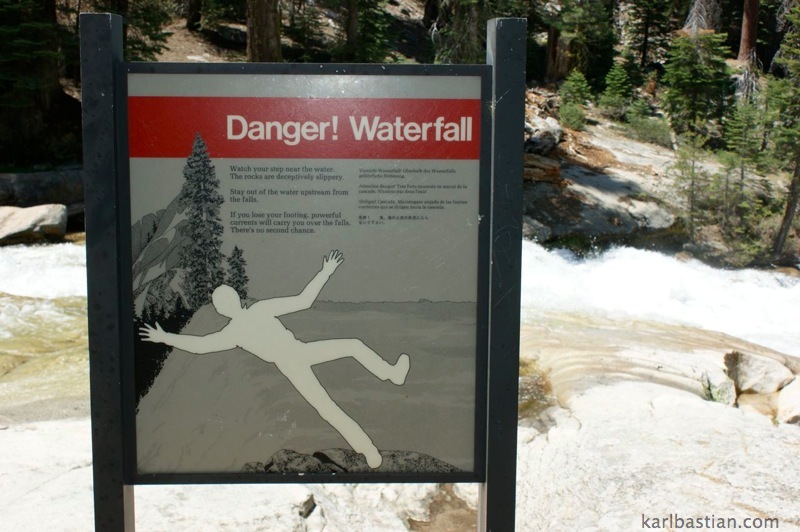 You’ll more likely win the lottery than die in Yosemite. 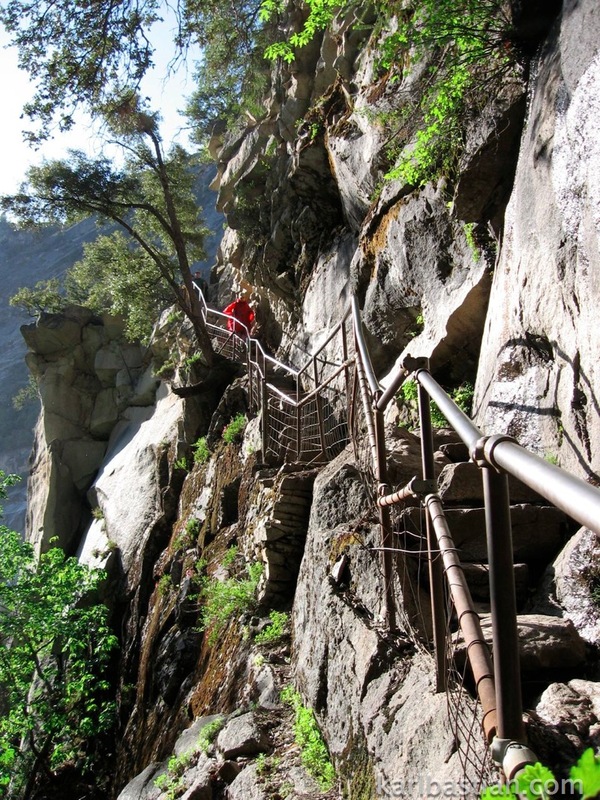 Over 2,000 hike the Mist Trail DAILY, only a dozen or so have died sine 1948. You do the math. You almost have to try to die. In other words, you have to do something foolish. Granted, you can’t avoid lightening (I know that!) but you can avoid most other things, if you are being wise and careful, and for the most part, sticking to the trail or to solid ground. 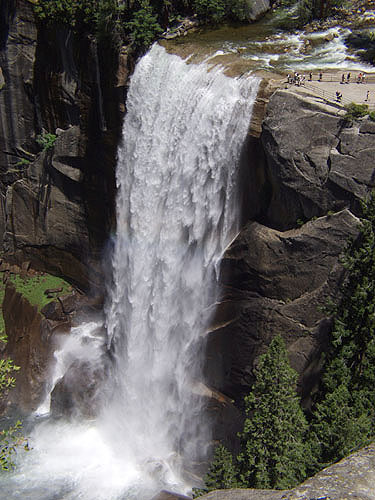 Yes, the deaths in Yosemite are tragic, and we grieve for the families and their loss. Our prayers go out to them. Reportedly, these three were Christians, that gives us extra hope. 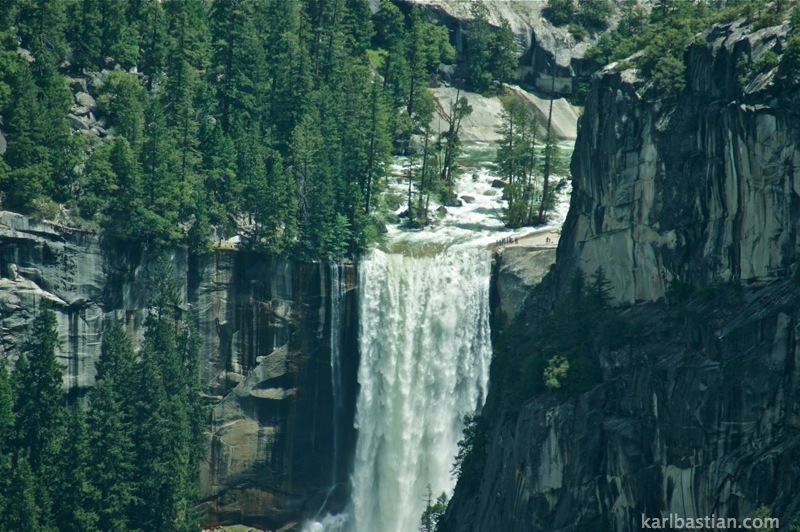 But their deaths do not make Yosemite unsafe – their deaths make foolish choices unsafe, wherever they are made, in Yosemite, in your work place, behind the wheel of your car. Life is precious and fragile. Be careful, friends, people love you. See ya in Yosemite! I agree with your article. 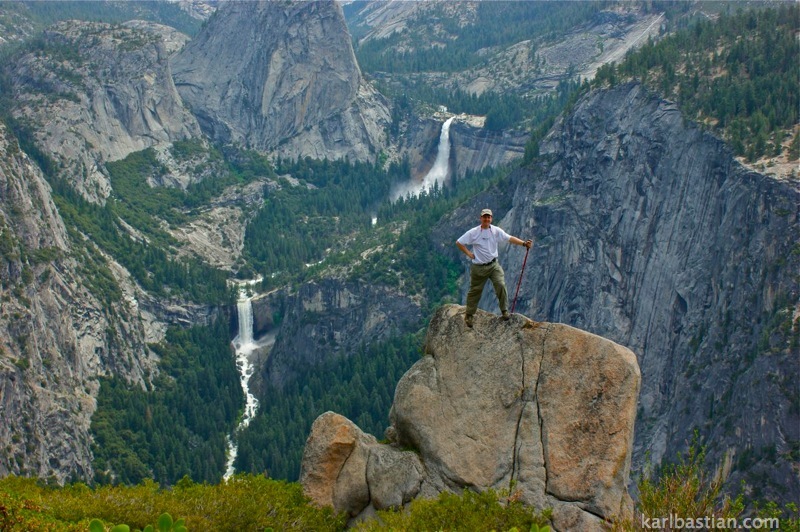 I’ve hiked around yosemite/ Half Dome, etc. – and it’s about respect of the area and making wise-safe choices. I too am sadden about those who have lost loved ones.